I left East London on Friday, September 5. My mum was going to travel with me to Jo'burg. We were delayed in EL for 3 hours. It was a tearful goodbye, and was so touched with family & friends who came to the airport to see me off. 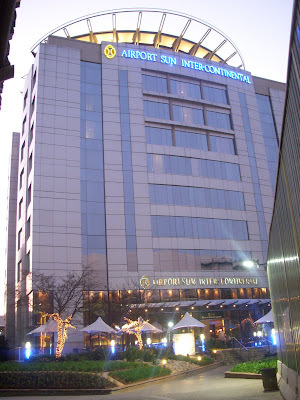 We arrived in Jo'burg that evening and stayed a night at the Inter-continental hotel. 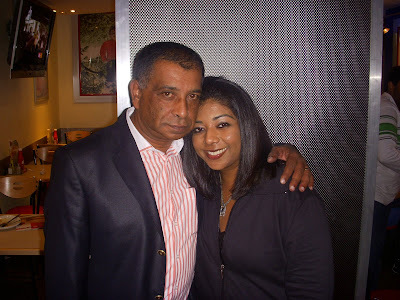 Saturday morning, I said a tearful goodbye to my mum and headed for Dubai. We were delayed for an hour before taking off. 2 hours in Dubai, and I was headed for Korea. *Ahn-yong! * Thanks for the message ^~ ... yeah, It's getting there slowly!